For two decades, John has distinguished himself as a leader, educator and practitioner in the fields of personal finance, risk management and comprehensive financial planning applied in the context of both the individual and the small business. He particularly enjoys a focus on helping those who have loved, lost and who are in current transition as his own life's experience has drawn him close at heart with individuals who have faced and who are facing the grieving process due to loss of a loved one. Helping to safeguard this wonderful but somewhat vulnerable demographic from financial pitfalls and possible abuse is one of his core and highest professional aspirations. Master of Science of Financial Services degree (The American College of Financial Services, Bryn Mawr, PA). Post-graduate executive education certificate in Retirement Income Planning (Wharton School, University of Pennsylvania). Bachelor of Arts, (Brigham Young University, Provo, UT). In addition to his full-time work as as the Managing Partner at HERDT BRINKERHOFF, John enjoys volunteer work in his local Church and community. He previously filled roles at The Allstate Corporation, AXA EQUITABLE, The University of Utah and at The Horace Mann Companies. John's greatest joy is his dear family. John and Wendy are the parents of three children and reside in Syracuse, Utah. With over 28-years in the personal financial planning arena and holding the CERTIFIED FINANCIAL PLANNER™ practicing professional designation (amongst many others), Doug has been named as one of America's Top Financial Planners in 2005-2012 by The Consumers' Research Council of America. He has maintained a special focus on Federal Employees as a sub-set of the many individuals and businesses that he has served over the years. Doug believes that client behavior is the predominant determinant of success in the financial planning process. He has worked tirelessly, throughout his career, to serve the middle-class with exceptional levels of personal care and competence putting the best interest of clients ahead of his own. He has taken remarkable care of them and they, in turn, have helped his practice grow over the years largely by referral and/or introduction. 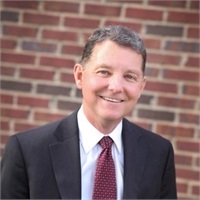 Among other designations, Doug is a CERTIFIED FINANCIAL PLANNER™ professional, a Chartered Financial Consultant® and a Chartered Advisor for Senior Living®. He completed his Bachelor of Science degree at Weber State University (Ogden, Utah). He and his family reside in Syracuse, Utah. 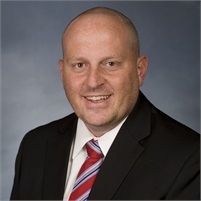 For the past 15 years Dallas has spent time and focus honing his skills in the risk management arena (specifically property and casualty) with several organizations where he has developed a keen understanding of the world of asset protection with the proper use of home owner's policies, automobile insurance policies and extended liability policies commonly referred to as an umbrella policies. A couple of years into his career, Dallas expanded his service offerings into the life insurance and securities arenas allowing him to serve client needs in additional protection, retirement, investment and estate objectives. 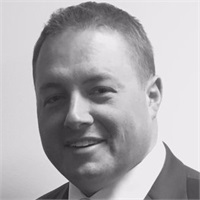 Since joining HERDT BRINKERHOFF in 2017, Dallas is both a Registered Representative with the broker/dealer- Centaurus Financial, Inc. and he serves as Director of Risk Management Operations with HB RISK MANAGEMENT.